19 3/4 x 13 3/4 in. 45 7/8 x 42 in. George Deem (1932-2008) is best known for referencing the history of painting by re-imagining Old Master works in a contemporary context. Deem looked to artists such as Velasquez, Raeburn, Chardin, Caravaggio, and Vermeer, and reconfigured their iconic images through visual devices such as repetition, erasure, text, or elements of 20th century life and art. Historian Charles Molesworth called the technique “temporal collage,” which is probably the best way to identify Deem’s approach to art-making. Deem’s focus on historical commentary dates to the earliest part of his career in the 1960s as he took part in the postmodern aspect of appropriation art. When Deem playfully quotes the work of other painters he not only draws attention to the formal qualities of his copy, but also invites the viewer to reevaluate the original. Deem engages the past and refuses to allow our assumptions about our icons to remain fixed and uncritical. He reminds us that these images are merely images, and as such it is open to manipulation, interpretation, and even corruption. 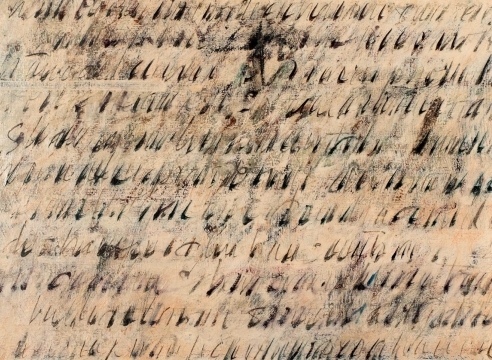 Deem also produced a series of “paragraph” paintings, where he painted illegible texts on a canvas, either as the image itself, or accompanying representational images. These works underscore the impossibility of being able to read the words, because the script is scribbled, blocked, or blurred, highlighting Deem's semiotic investigation of visual and linguistic meaning in art and art history. George Deem was born in Decker, Indiana in 1932. 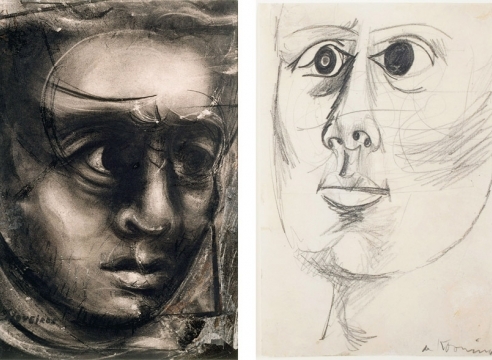 He attended the School of the Art Institute of Chicago in 1952, and was interrupted by being drafted into the army. He served in the town of Heidelberg, Germany and during his two years of service he visited the cities of Florence, Venice, Paris and London and saw their remarkable art collections. Upon his return from the service in 1955, Deem returned to the School of the Art Institute of Chicago and studied with Paul Wieghardt, teacher of other artists such as Robert Indiana and Claes Oldenberg. 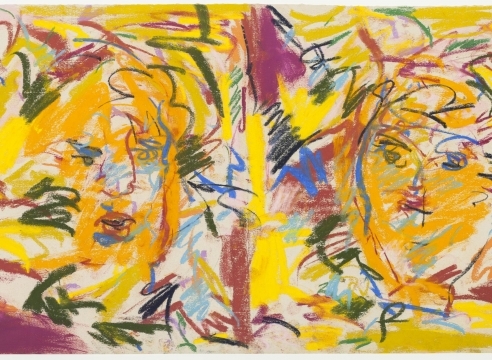 Upon his graduation in 1958, Deem moved to New York City where in the 1960's he exhibited with artists like Larry Rivers. 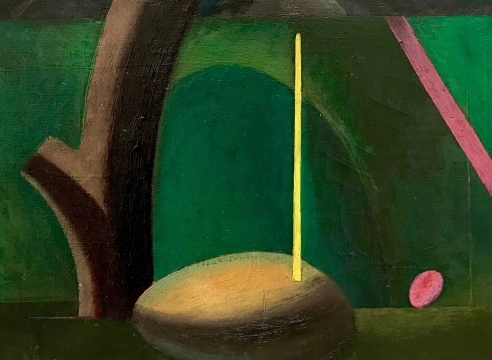 His work has been exhibited nationally and internationally at such institutions such as the Institute of Contemporary Arts, Philadelphia, the San Francisco Museum of Art, the Menil Collection, Houston, the Musée d'Art Moderne et Contemporain in Strasbourg, France, the Denver Art Museum, Colorado, the Indianapolis Museum of Art, Indiana, among many others. His work is in public collections such as the San Francisco Museum of Art, the Museum of Fine Arts, Houston, the Indianapolis Museum of Art, Indiana, and others. 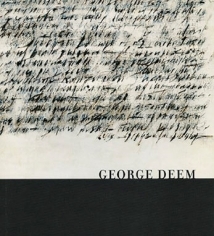 Deem wrote three books, How to Paint A Vermeer: A Painter's History of Art (2004), ArtSchool (1993) and Let George Do It (2009). Deem lived in New York until his death in 2008.